Men are five times more likely than women to name investing as their top financial goal, regardless of age. That’s according to a study by financial planning website LearnVest, which looked at the data of more than 100,000 members to determine people’s most pressing financial goals. It’s hardly news that men are more confident investors than women. 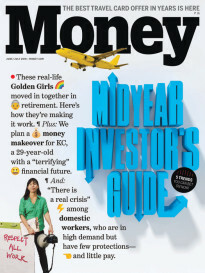 LearnVest cites a 2014 report from Merrill Lynch that found 55% of women (compared with just 27% of men) agreed with the statement, “I know less than the average investor about financial markets and investing in general.” And LearnVest itself reported that 45% of men feel financially confident, compared with just 27% of women. Despite their faith in their investing prowess, men aren’t necessarily more likely than women to have their finances in order. 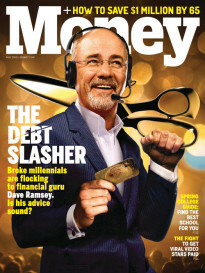 In fact, both sexes need to work on establishing budgets and paying down debt: 60% of Americans do not have a budget, according to the National Foundation for Credit Counseling, and LearnVest found the average indebted American household is carrying more than $16,000 in credit card debt. But the study also revealed that budgeting is the top goal of members across age, gender, and geography—a positive sign that Americans are trying to build better finances from the bottom up. Alexa von Tobel, the founder of LearnVest (and a columnist for MONEY), says budgeting is the first step toward financial freedom. “More than three-fourths of the country lives paycheck to paycheck,” says von Tobel. To get ahead, she advises developing a one-number budget: Rather than restricting all discretionary spending, give yourself one dollar amount per week that you can spend on anything you want. “That’s the strongest way to get someone to budget,” von Tobel says. But when 47% of people can’t handle an emergency expenditure of $400 and just 31% have no retirement savings or pension, von Tobel says you’re going to have go further still. “I think it’s most important for people to understand what a solid foundation is, which is no credit card debt, an emergency savings account, and being on track to retirement.” Those three elements are the bare minimum for a healthy financial life. Millennials (age 18-34) were more likely than any other age range surveyed to say investing was a priority, an unsurprising statistic considering 20-somethings are more likely than any other age group to put aspirational financial goals ahead of the practical. But to be truly financially fit, they’d do better to keep their financial feet on the ground.